The Cornhusker Fly Fishers would like to thank Cabelas stores (especially La Vista, NE) for providing weekly tying space and other donations to the club. Remember, if you would like to learn to tie, share one of your favorite patterns, or just hang out and ask questions about fly fishing, we tie at Cabelas in La Vista, NE every Thursday from 6-8pm! 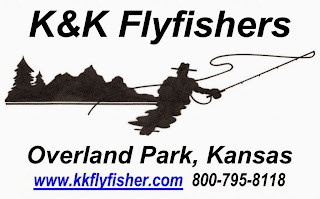 Based out of Overland Park Kansas, K&K Flyfishers provides customers with one of the best flyfishing experience as possible in an online environment. K&K Flyfishers Inc, opened retail operations in 1987 and began servicing customers by mail order. They offer thousands of fly fishing and fly tying products from hundreds of quality vendors and have supported the Cornhusker Fly Fishers with donations for many years. Order your free catalog HERE. The Cornhusker Fly Fishers would like to extend a sincere thank you to Longboat Outfitters and River of Life Farm for donating a full-day guided fly-fishing trip and lodging. This package was made available for silent auction to members attending the 2013 Spring Fling. Longboat Outfitters and River of Life Farm have been featured on The Today Show, Bass Pro Shops Outdoor World and many others. Offering lodging and guided fishing trips on North Fork of the White, Gasconade, Eleven Point, James and other Rivers near Dora, Missouri (8 hours from Lincoln, NE). Give them a look for your next trip. The fishing is the process which is very much interesting task among ourselves. You can make your time better in this process. You can use the K&K flyfishers for this project of fishing in the specific area. Just make your idea with the help of the best writing service and catch more fish.